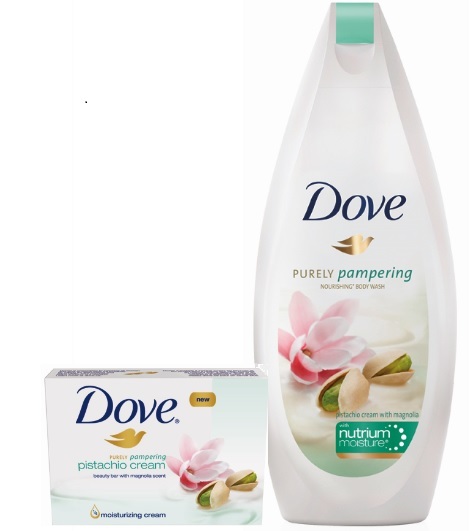 Dove Purely Pampering Pistachio Cream With Magnolia Body Wash - 354ml - $5.99 - the newest addition to the Purely Pampering line uses the same trusted Dove formula of mild cleanses blended with NutriumMoisture to effectively nourish skin with moisture deep down while providing a rich lather and a clean rise on the surface leaving skin feeling soothed, nourished with moisture and smelling delicious! I haven't seen it in the US yet, but I'm recently a Dove body wash addict. It's saving my skin from this weather. I just saw it for sale at Sam's Club.